Good Sunday Glosticks, How are you this fine day? It is sad to think that we're almost done with the Best Kpop Love Songs (according to me) for Valentine's Day! I can't believe how fast everything is going by. I want to talk about love! Lol, like I haven't really been the last 14 days huh. No, this love I want to talk about it is the never ending love. Who has never ending love? Who married their childhood sweetheart? Who married their first love? Who married their bestest of friends? I unfortunately am not married. But I have seen the lives of many friends of mine that are. They married their love and are still in love to this day. That's pretty amazing. I hope that one day I will have that! This song, number 3 Best Luck by Chen (EXO) is talking about how she is his luck. And how happy and in love he is because of her. How everything is perfect because of her. How she brings out the best in him because of her. Who can argue with that. She's his lucky charm. So he's singing this song saying that to her and how his world has changed. I hope that in the not too distant future I will have this type of love. The forever type of love. No matter what happens we'll be together type of love. The never giving up on each other. I want that for me and I want that for you too if you don't already have it! 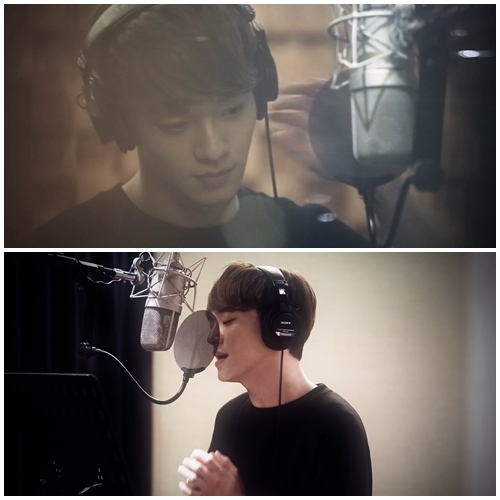 Let's all smile in content as we listen to Chen's sweet addictive voice talking about forever love!